I recently finished a contract at a museum in Geneva, where I had the pleasure of working with the team on some quintessential questions surrounding global museums and the future of museums. This short blog is an attempt to tackle my own concept of what a museum is or should be. Whilst I benefited from the environment within the museum network, the ideas expressed here are my own. I used to stroll through the typically cool architectural passageways and labyrinths of museums with a sense of self-satisfaction. The museum appealed to my desire for a physical inspiration and connection with the city, and a bit of culture, knowledge and colour through a great live experience. it was entertainment and education in one, like watching the Blue Planet or a great documentary video. The audience was typically pretty standard: people like me (20s and 30s something with an arts or humanities background), a good range of tourists with expected selfie sticks, a decent sprinkling of senior citizens during the day-time hours, and the token groups of lovely squealing school kids. The after hour events and free booze brought the standard after-work office crowd. Museums should exist to educate and encourage creativity in all its forms, and to do so in a way that is free of all licenses and enabling total re-usage of all available data, photographs, content, and so forth. It should be the cultural leader for the city or council department and for the cultural sectors – that means the best pay, the best education and trainings, the best new tools, the best opportunities for new cultural creation, and the right partnerships to enable this. The content of a museum should educate based on current issues or current discussions around historic issues. They should be relevant to key issues, themes, ideas, and celebrations affecting society today, even if they take inspiration from collections or objects of the past and future. This means that museums need to be ready to have an opinion, and take some risks related to sharing that opinion. It means a balanced message and storytelling, but bringing in controversial themes for discussion. It needs to have resonance. The future or forward thinking museum is one where the thematic exposition theme rules all else. The message or communication idea for the exhibition is based on what society needs to know. This is the priority. This is why the museum exists and why the tax dollars subsidise the museum work. Once this idea is decided, once a lesson for the world has been chosen, then the work starts to find the best ways and celebration of ideas or objects – tangible and intangible – to tell this story. 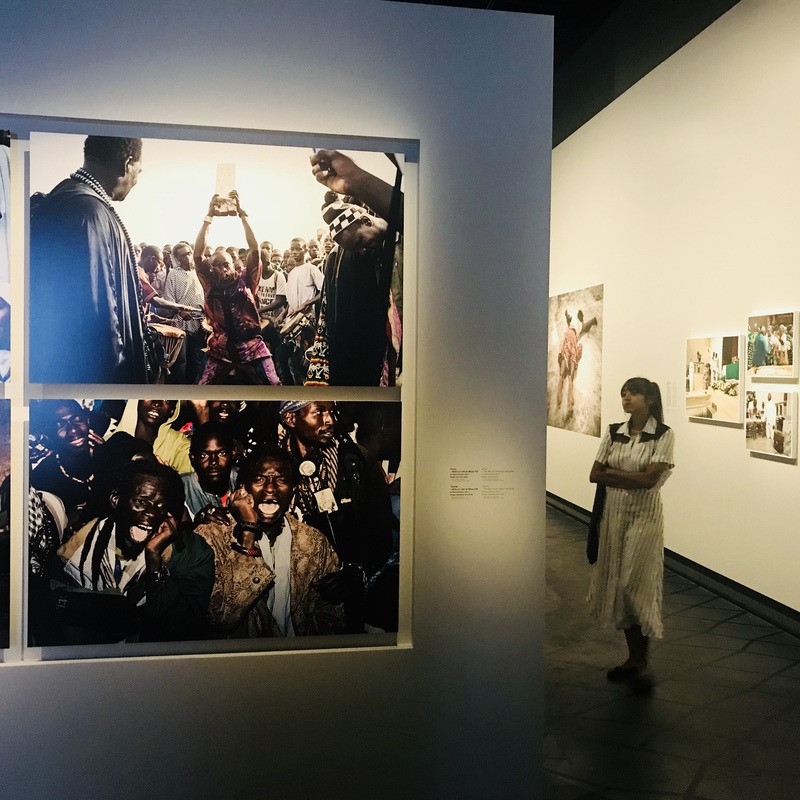 The items featured in the exhibition should be chosen because they are the best option to educate and to experience the chosen thematic message. The expositions and displays should be a response to relevant world dynamics, with a place for different voices to be heard. Today, this is not the case. Current museum exhibitions are often based on its collection – the archives and warehouses and depots of stock that needs to be shown (and the natural preferences of the accompanying curator based on their research specialisation). The museum looks at its collection of objects, and based on this haphazard post-colonial collection it finds another story to tell. Moreover a museum should have a mandate to strive to bring people into the museum. That doesn’t mean it should sell itself out to create any content whatsoever for the public potential popularity. Rather, it means an active, intentional, open-door policy to encourage people into the museum and investment to make sure all people in the community are aware that it is a place for them to use. And it should focus on encouraging people who do not come today, or who would not feel welcome behind the shiny glass doors. If a public garden has no seats, no flowers, no paths, and a big gate that’s always closed, then it’s not really a public garden. The same goes for a museum. It is somewhere to spend time with your family or friends in the same way a park brings people through its paths every day. It should be a place to re-visit on whim. It should be open in the hours where people need it to be open. And it should be obviously welcome to all people in a community. It should be obvious as free, open, comfortable space. 5. Stop focusing on the collection. So, what about the core of the museum – the collection? According to the ICOM definition, a museum is also defined by its role to conserve, acquire, and research. But from my perspective, the (historic) collection is simply less relevant. Maybe it does matter, but it matters less than has currently be defined in most museum mandates. It is of course highly relevant to research and understand any objects in the collection and their origins, and to respond to issue of contested origin to enable the right policies for return and repayments. Specifically, if there is an issue of repatriation the object as is common with European collections, then the object or item in question should be immediately repatriated. If an exhibit requires an object that is located abroad in a community or alternative museum collection, then we can wonder if the exact piece is needed – or if a duplicate, or video or film alternative or a hologram can instead bring this pieces to life. To help enable this, the creation of 3D printing of duplicates and similar technologies (audio recordings, digitalization of archives) should become the tools of the museums to enable partnerships sharing of objects and ideas, both tangible and intangible. For further reading I strongly recommend the book “The Theory of Soft Power” by Blankenberg & Lord 2015, that deals in much detail on the question of cultural organisations and their societal role. Whilst these ideas are my own, I am grateful to the opportunity with the Museum of Ethnography (MEG) to have worked on these questions and to review an important body of relevant literature available in their library and through the museum network.